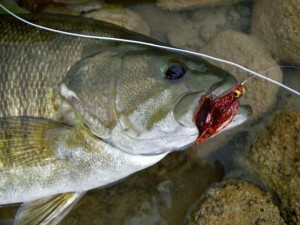 The Grand River – Ontario – Streamer Smallmouth Bass. “She (The Grand River – Ontario ) begins as a trickle near Dundalk, then dallies for a time above the Shand Dam before charging down through the Elora Gorge. 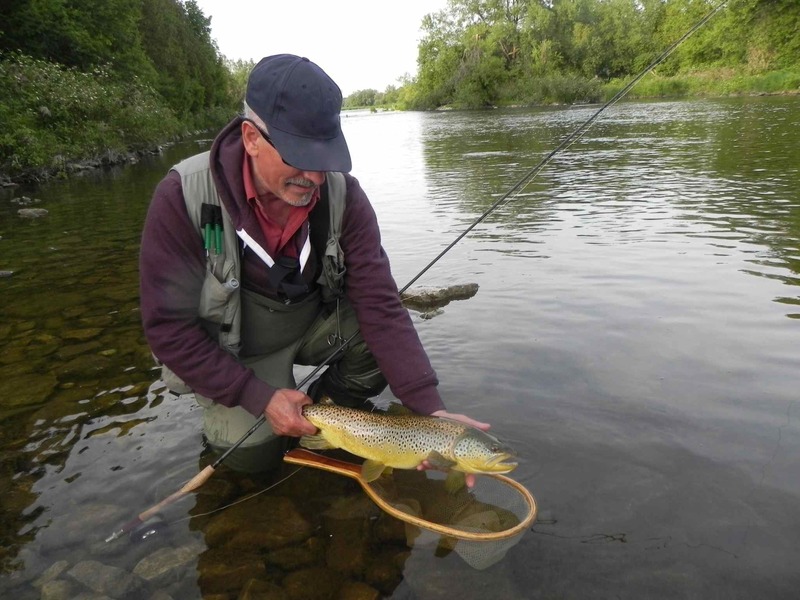 This is classic brown trout water, some of the best found anywhere in Ontario. 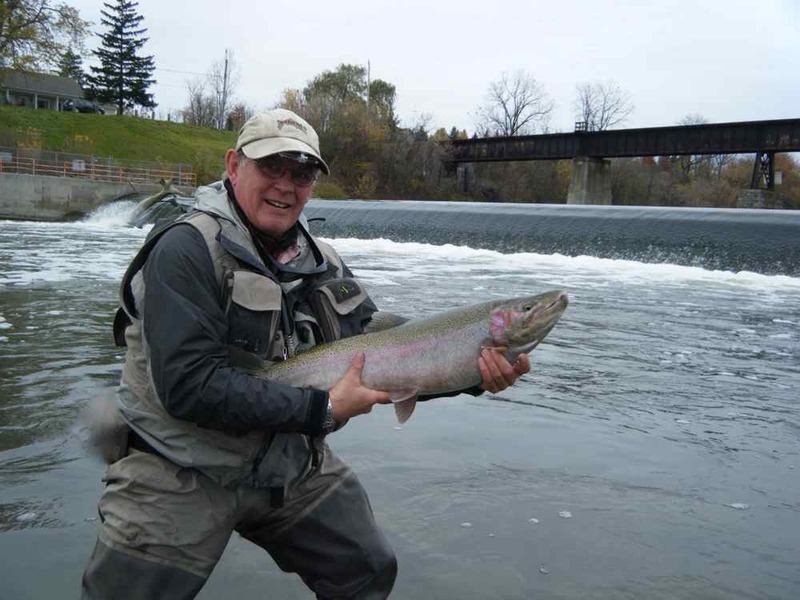 The Grand River – Ontario – A Grand River Steelhead in Caledonia. In 1994, The Grand River – Ontario and its major tributaries achieved the coveted status of Canadian Heritage River. Due in large part to the successful efforts of many partners, the Grand is also considered a world class fishery! 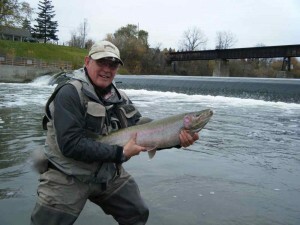 Trico Hatch on The Grand River – Ontario. Trout are known for their selective nature as fishing pressure has taught them to use discretion in feeding. It is quite an accomplishment to catch and release a 20″ fish though plenty abound! 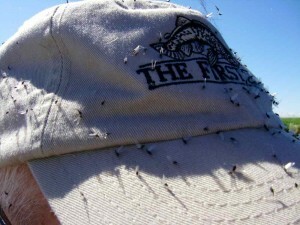 Major Hatches on The Grand River – Ontario – extend all through the season from May to October but the river is known for heavy Caddis, Midges, Hendrickson, Cahill, Fox, Blue Winged Olive, Isonychia and Tricos. You can check this link to the GRCA site for a minute by minute report on flows. You can check this link to the GRCA site for a minute by minute report on temperature. See Below for Up-to-date info and twitter feeds on each section of the Grand River. Click here to see video of insect activity on The Grand River – Ontario – Below Elora June 11th 2014. Click here to see video of insect activity on the Grand River – Ontario – Inverhaugh as of May 11th 2014. Click here to see a video of swallows feeding on The Grand River – Ontario on May 12th 2014. The Grand River – Ontario – Brown Trout below Elora. Upper Section - Shand Dam in Belwood to Scotland Street in Fergus. Middle Section - Scotland Street in Fergus to Elora. Lower Section - Elora to Highway 86.